Summer is almost here! We will be offering 3 weeks of Summer Camp! It is open to Members & Non-Members too, so have your student invite their friends too. 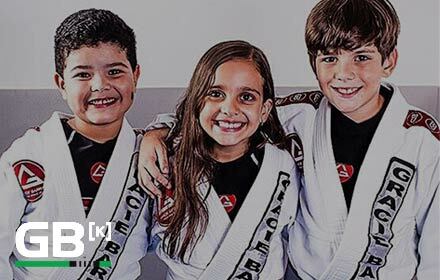 Ages 7-13, they will stay here from 10:30am until the end of their class which is 6:30pm. They will need to bring a packed lunch, we will be providing water & snacks (fruit, granola bar, etc). You may come and pick them up anytime after 4:30 if they will not be staying for the Juniors Class that is 5:45pm-6:30pm. 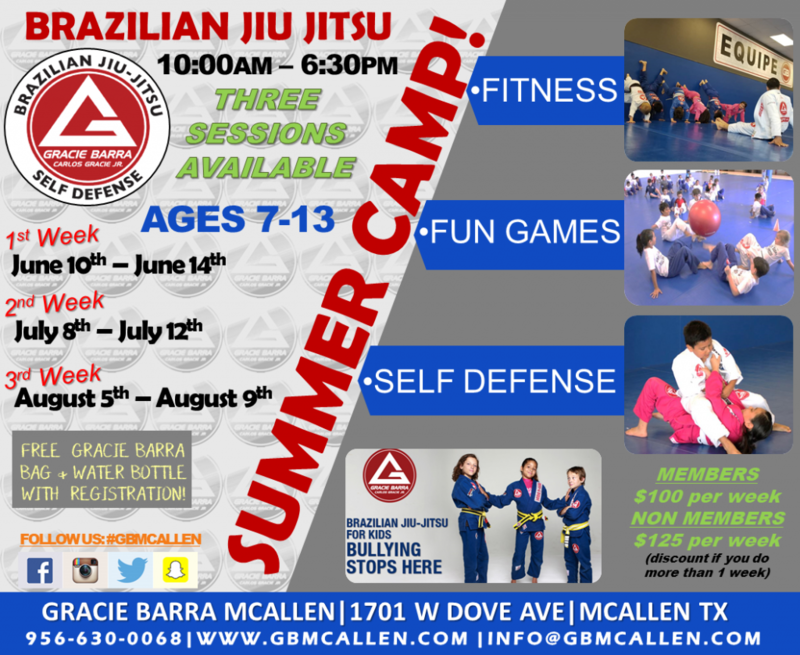 Each Camper that sign up will receive a Gracie Barra Bag, Water Bottle, & Button. Discounts will be applied if you sign up for more than one session. Please give us a call or stop in for more information.